Online use coupon code: Jun E! FAME stands for Fashion, Art, Music, Entertainment and is an explosion of creative artistic energy. 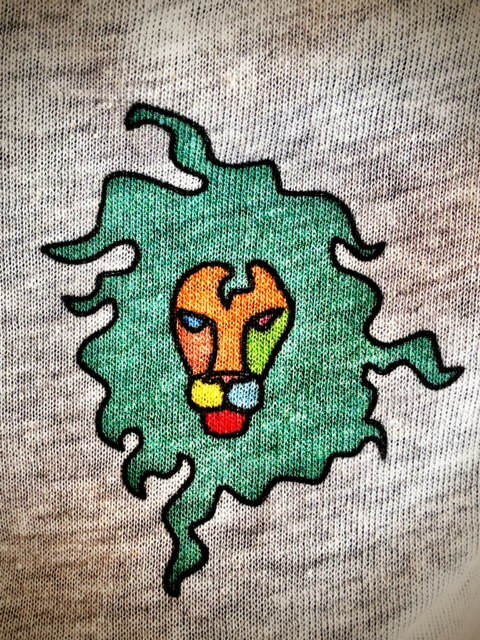 Our purpose is to foster art and culture throughout the world. 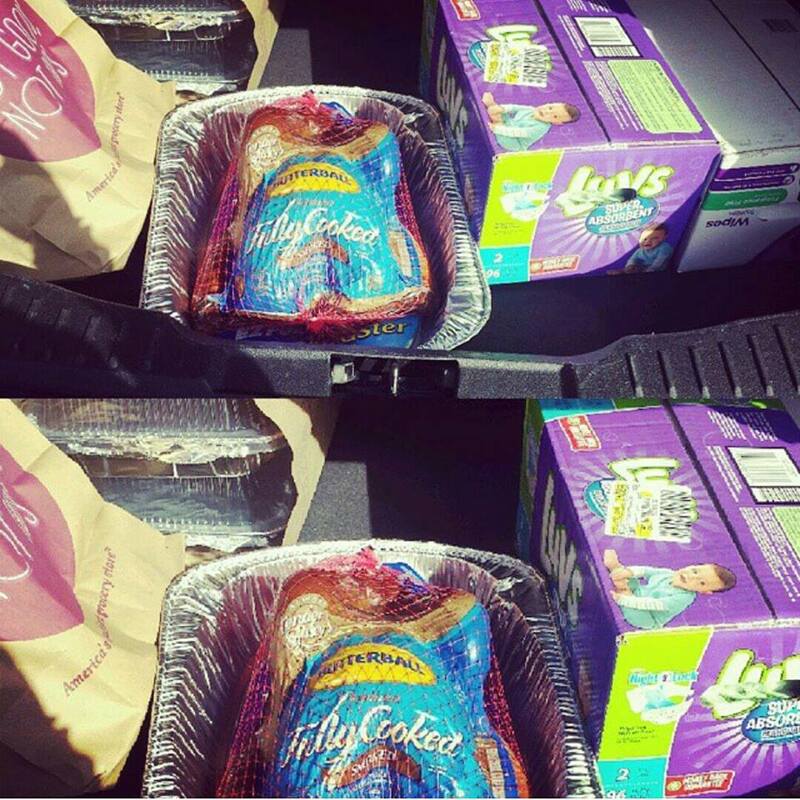 Here are some pictures and film from the Jun E weekend! 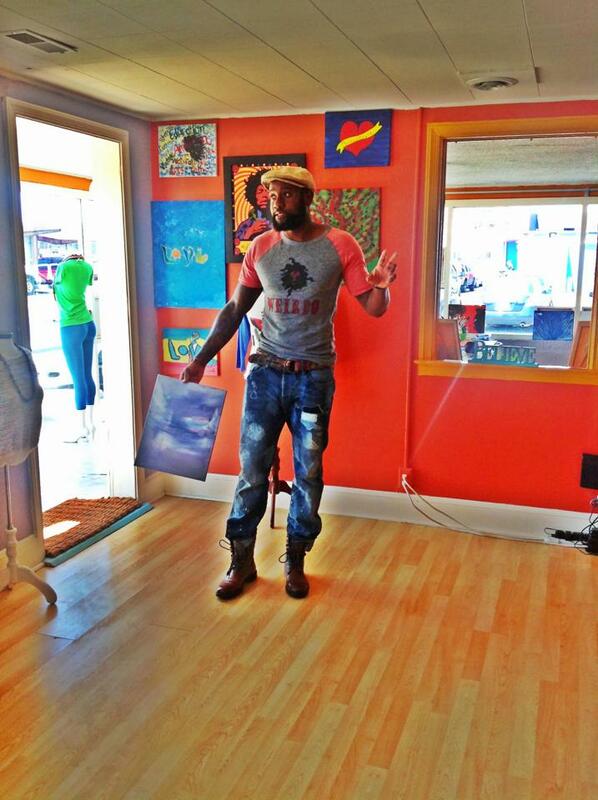 Thank you to all who came out and supported the Arts!!!!!!!!! Styled by Jun E: It’s Time To Play Ball! Baseball Season is here ladies and gents! Time to grab those baseball caps, throw on a quarter sleeve tee and head out to the field. It’s time to play ball. The fashionable way!!! I wouldn’t be surprised if most of my readers come from a sports oriented family. I recently just became apart of a family that has a strong love for basketball. (Even though I’m not there yet! I still support) So, now its time for the football fans to move over and make room for the baseball crowd! 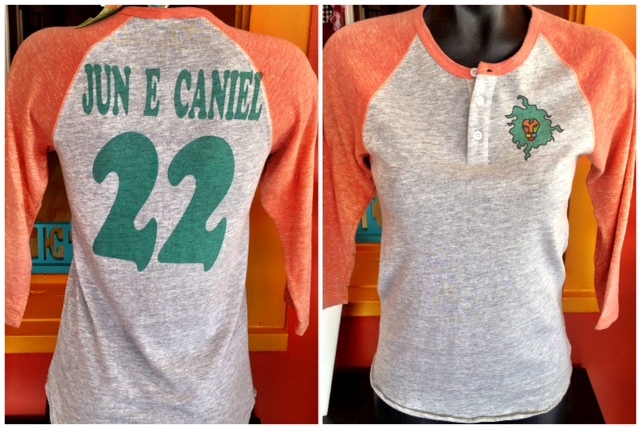 Jun E Caniel baseball tees! An oldie but a goody! 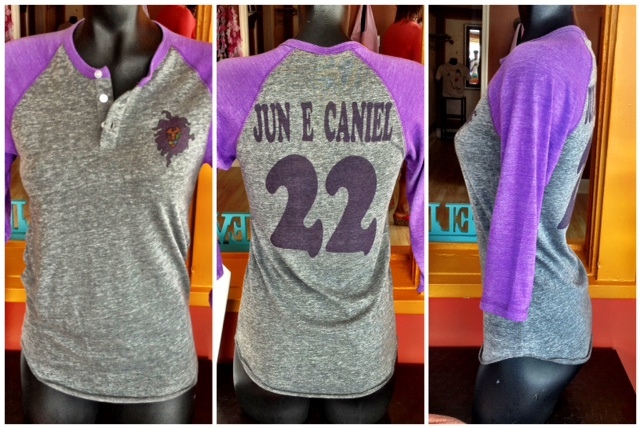 A lot of the shoppers at Jun E Caniel love the baseball tees. They were made for both women and men; with the same colors and style. The front features the Jun E Lion and the back has the company name and the number “22” printed on the back. Twenty-two is a number that holds a lot of significance to the founders of Jun E Caniel. If you want to know more about it, you gotta ask them! 🙂 Every design has meaning and is created with great intentionality. I personally enjoy the way the shirt falls on my body. It’s the perfect length for my long carefree arms and lands at a perfect place on my long torso. Its a little weird (and weird is good) because you would think that each shirt was particularly for one person/ body type. But No, no matter the person the shirt looks great on! Its a Jun E tee, what would you expect!? Everything made by them feels amazing! Ask around!